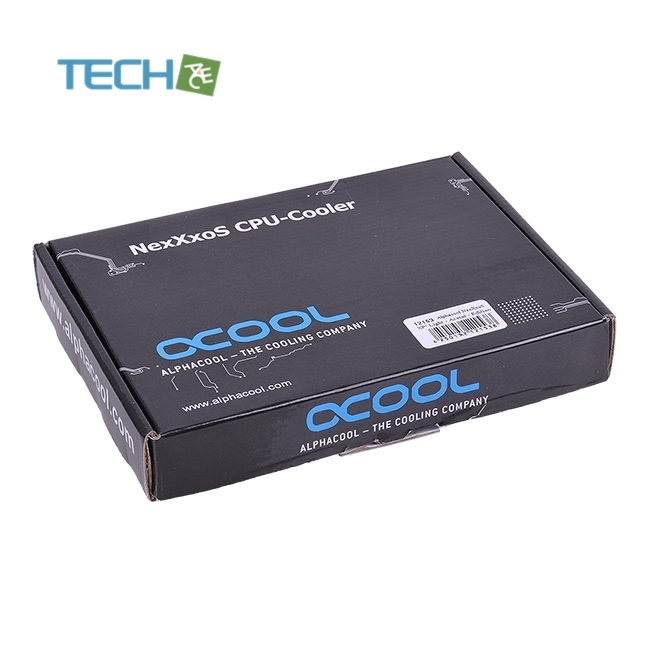 Injection: A multitude of approaches for ideal coolant injection into the cooling structure exist, and many of them show great potential in computer simulation.Alphacool went one step further, and has actually realized many different technologies and tested them under real-life conditions. These prototypes were combined with different backflow possibilities, until an ideal solution was found: Slotted acentric injection in combination with backflow channels in opposite directions allowed a performance improvement which also worked on larger chips and Multi-core processors. 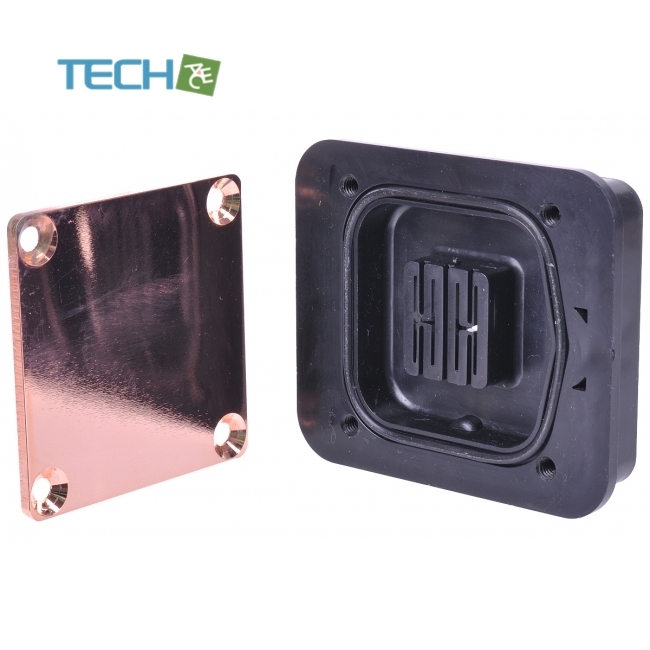 Mount: The XP³ features a circumferential elevated strip, offering a secure hold for the mounting plate. 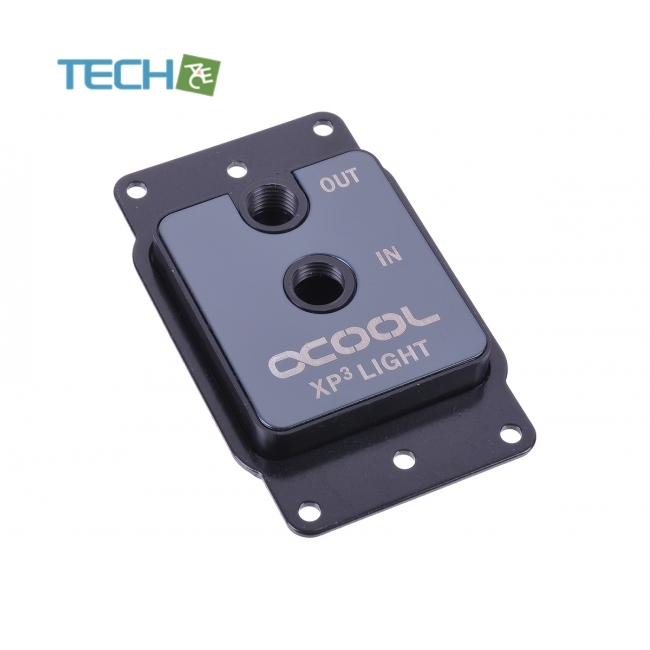 This new feature allows switching of the cooling plate without having to disassemble and open the water block.With water blocks from the competition, installation of a different mounting plate is often a hassle without the necessary technical know-how, and not many users have the experience to be able to disassemble a complicated water block and reassemble it correctly without damaging it.Such worries are now thing of the past! 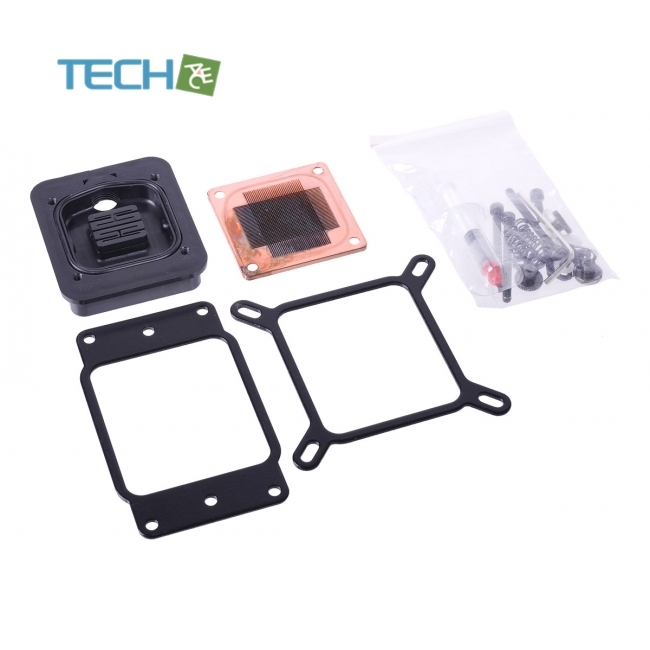 Included with the water block come two mounting plates, one for installation Intel sockets, the other for use with AMD processors. Versions: Two versions will be available upon release: For budget-oriented users, the affordable entry-level version with Acetal is the right choice. 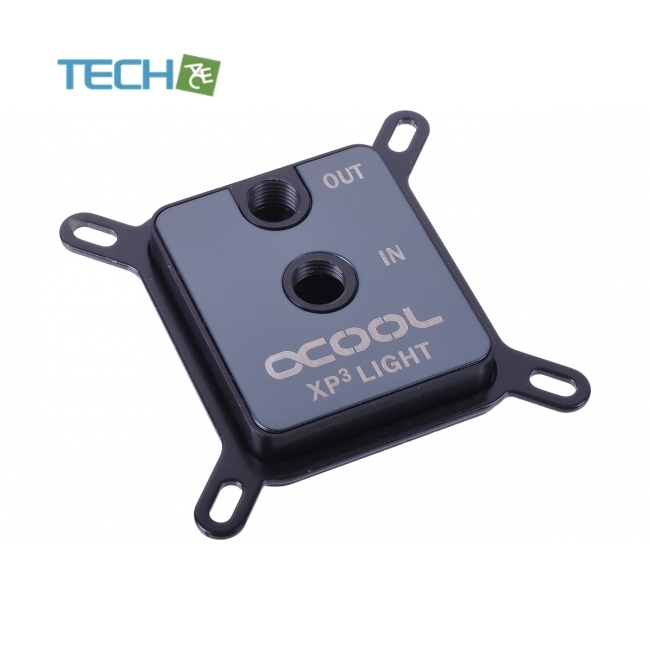 For those looking for something a bit more advances, a version with brass top and elegant black nickel plating is available.Cooling performance of the Acetal version is only approximately 2°C behind the performance of the brass version, meaning that the Acetal version delivers top-notch performance at an affordable price.